View our wide range of lingerie hangers in stylish designs at low prices. Also, order handy pack sizes starting from just 10. 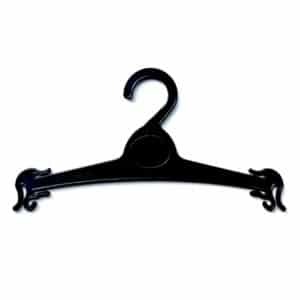 Save money by ordering directly from the lingerie hangers manufacturer. 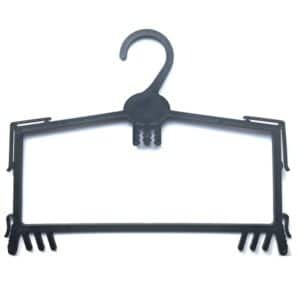 We are the only manufacturer of clothes hangers in Ireland. 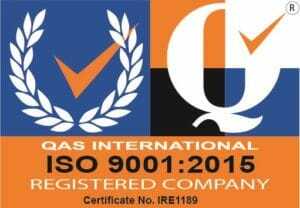 As a result cut out the wholesaler and get the best prices. Choose from our high quality plastic lingerie hangers made in our factory in Ireland. 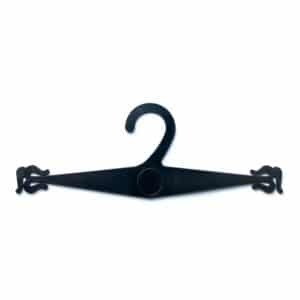 Hang your beautiful lingerie on our stylish and lightweight hangers. 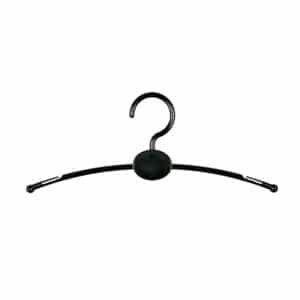 Also, keep delicate lingerie in perfect shape as a result of the smooth finish of our hangers. We manufacture a wide selection of swimwear and bikini hangers. For example, order our elegant ECOLU5 for hanging ladies swimwear. Secure swimwear in place using the ECOLU5 side grips. Plus, order our ECOLU5 in stylish black or gorgeous pink. 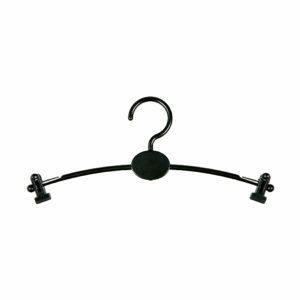 Buy our bikini frame hanger ECOLU11 to hang ladies swimsuits and bikini bottoms and tops. Secure bikini tops using the shoulder grips and also the hooks under the central oval label area. In addition, secure bikini bottoms using the lower grips. Also, use the ECOLU11 to hang two piece lingerie sets. Keep bras in perfect shape using the top slide slits. In addition, hang knickers using the lower and side underwear grips. As a result of the tooth designed lower grips, the ECOLU11 is perfect for hanging knickers of any size. Browse our selection of lovely underwear hangers. Our best sellers include the ECOLU8-24 and LU9. Secure underwear using both the side slits and the lower grips on the ECOLU8-24. Hang multi-size garments because of the tooth shaped lower grips. In addition, to the 24cm wide ECOLU8-24 you can also order the 28cm wide ECOLU8-28 with the same design. Ideal for larger lingerie sizes. 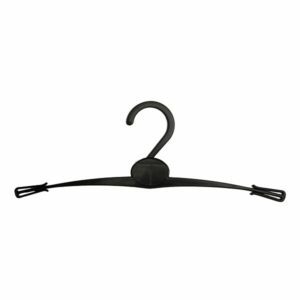 Choose the LU9 if you want stylish lingerie hangers with strong metal hook. Secure knickers and camisoles using the side grips. 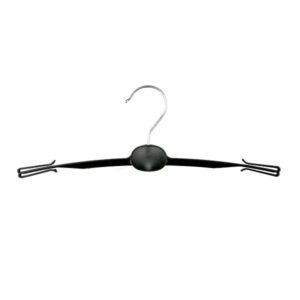 Select our ECOLU6BC made with strong plastic clips to hang lingerie and bras. In addition, adjust the clips to hang multi size garments. As a result of their smooth finish, the clips do not damage fabrics. 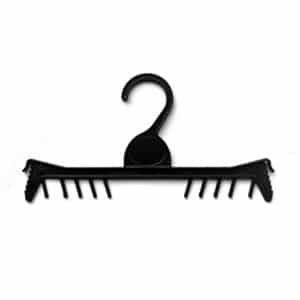 Also, this hanger is available without clips as the ECOLU6B. Hang lingerie using the strap slits rather than with clips. Use pink lingerie hangers to further enhance the display of lingerie and swimwear. Perfect for lingerie shops and boutiques. 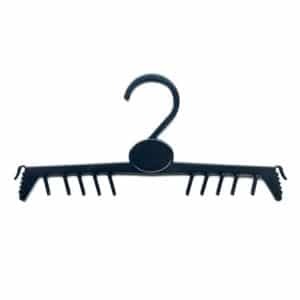 Order our 30cm wide ECOLU5 hangers with plastic hook in pink. Show off beautiful nightwear and underwear by also using clear lingerie hangers. Also called natural or transparent hangers. Use the side grips to hang knickers, thongs and swimwear on the 27cm wide C8, available in black or clear. The 30cm wide ECOLU2 is also available in clear, white and pearl as well as black. Perfect for hanging camisoles, bras and swimwear because of both the over and under hooks and side grips. Printed lingerie hangers are a great way of promoting your business. Perfect for owners of lingerie shops, boutiques or clothing companies. We print your brand on the central oval area of our lingerie hangers. We print one colour logos, subject to minimum order quantities of 10 boxes. Read more. 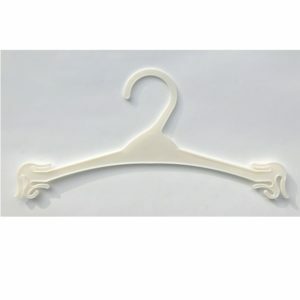 Order lingerie hangers in handy pack sizes starting at just 10 from hangers.ie. Plus, buy most hangers in packs of 10, 50, 100 and also box quantities. 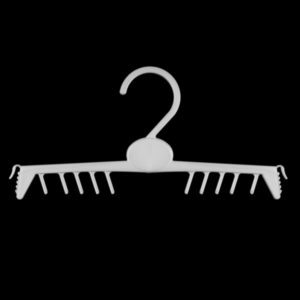 Ordering small packs of hangers direct from the manufacturer is now possible! 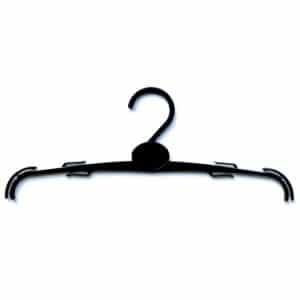 The slim space saving designs of our lingerie clothes hangers is perfect for garment rails and wardrobes. Save space and save money by buying direct from the manufacturer in only a few simple steps. For super fast payment check out with PayPal Express. Free delivery across Ireland and UK on orders over €75 + VAT (or Sterling equivalent).